If you have ever been to an animal shelter, you have probably seen a sad sight: dozens of adult cats desperate for homes, most of which have little chance of getting out. The American Society for the Prevention of Cruelty to Animals states that every year, about 5 to 7 million pets enter the animal shelter system, of which more than half are cats. Unfortunately, approximately 70% of those cats are euthanized simply because no one wants them, and most shelters don’t have the funds to board them for more than a few weeks. Why aren’t these cats getting homes? Even though more animals are being spayed or neutered, 75% of animals coming into the shelter are still intact. One unspayed cat can produce many litters of kittens over the years, and those litters produce their own litters. The supply of cats is simply too large. The rate of intake of adult cats at shelters is significantly higher than the rate of adoption, and in spring, when the “kitten season” begins, the margin increases alarmingly. When given the opportunity to adopt a cute little kitten, people tend to ignore the older cats. The American Humane Association has dubbed June “Adopt a Cat Month”—June has the lowest rate of adoption from shelters, therefore the highest rate of euthanasia. Kittens usually go fast, but unfortunately, the majority of shelter cats are over 5 years old. Some are “boring” looking, like tabbies or black cats, and others are part of a bonded pair, which means they would be miserable without their friend. Some have easily remedied medical conditions, while others aren’t well socialized. These cats stand no chance against the puppies, kittens and dogs in the shelters. According to the Humane Society of the United States, 33% of Americans have at least one cat. Of that number, only 21% were adopted from animal shelters. The rest came from a hodgepodge of sources: friends, family, coworkers, wandering strays or unplanned litters of kittens. Because people are getting cats from these other sources, they don’t turn to the shelter for adoption. Part of the problem has to do with the shelters themselves. Because of city noise regulations, most shelters are located in industrial or other “undesirable” neighborhoods. People often don’t even know there’s a shelter in their area. “Most shelters are not in highly desirable foot-traffic neighborhoods,” Moyer says. Also, cities frequently lack the funds to modernize shelters, so walking through them can be dismal. Numbers aren’t the only reason for low shelter adoptions. The shelter environment, specifically the cage, can dramatically decrease a cat’s odds of being adopted. 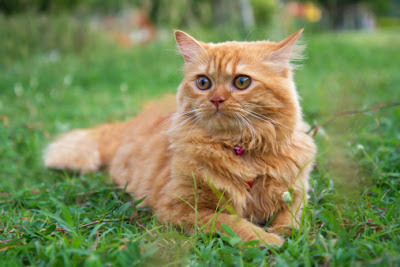 The shelter is a loud, scary place, and with no consistent or regular exercise, cats can become depressed and fearful. Cats need about 9 square feet to be comfortable, but shelter kennels are smaller than that. The animals need vertical space for jumping and horizontal space for play and sleep. When they are forced to live in cages, they have some serious adjusting to do. It may take up to 5 weeks for a cat to feel comfortable in a new environment, but most shelters aren’t able to keep them that long. Older cats, especially in pairs, are also great for seniors and people who don’t want a huge time commitment. “Kittens require a lot of time and energy, and are usually more costly to care for than an adult cat,” says Rodan. Adults are more well-adjusted to life, and pairs keep each other company. But more than anything else, adult cats are grateful. “Adult cats that find their way into homes can be the most loving pets of all—perhaps they know how lucky they are to have found a loving and caring home,” Rodan says. If you are thinking of adopting a cat, visit your local shelter first. Sure, your coworker might need a new home for her cat, or your neighbor might have a litter in the back yard, but those cats are “safe,” meaning they aren’t in immediate risk of being euthanized. And, you can help with prevention. In the words of Bob Barker, “Help control the pet population. Have your pets spayed or neutered.” And encourage others to do the same. This article originally appeared in PetsMatter May / June 2012, published by the American Animal Hospital Association. Copyright © 2012 AAHA.